A great many writers (perhaps most) have known they wanted to be writers all their lives, scribbling away in childhood, until finally some breakthrough brought writing to the forefront and they began completing and publishing their work. I have an intellectual background in mathematics, which (indirectly) led to a career first as a programmer and then as an IT executive in a number of startup software and computer consulting firms for almost 40 years. But, like many math-types, I also had a competing fascination with music, languages, and the visual arts. Everything, in fact, except writing. As I’ve said elsewhere, it’s all Tolkien’s fault. I was a high-volume, indiscriminant, and rapacious reader as a child (still am), never going to grade school with fewer than half a dozen paperbacks to get me through classes, with a strong focus on science fiction and such fantasy as was available in the early 60s. 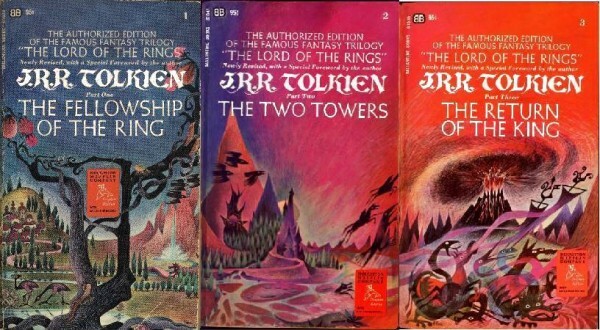 My encounter with Tolkien when his first American editions and then the “authorized” editions came out in paperback, in early high school, gave me a sudden and immediate focus. 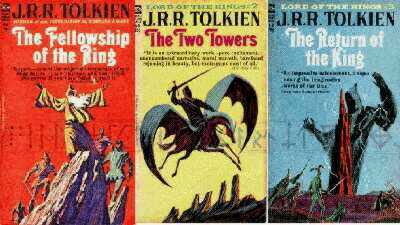 In brief, I’m the sort of person who reread the Appendices obsessively, trying to understand why his hints at deep history worked so well, how he had built a world with so much consistent detail and background that resonated so effectively with his readers. I’m slogging through the character names index and a Welsh pronunciation guide for To Carry the Horn (very necessary — sorry to do it to you folks. One of my beta readers is complaining bitterly. I say, could be worse – could be a Russian novel.) This requires me to look up every name and make sure I provide some clue about how to say it. Welsh looks much harder than it is because of unusual spelling conventions. “Gruffydd” is Griffith, “Rhys” is Reece, “Vachan” became Vaughan, and so forth, but there are some genuine problems, too. To begin with, you can’t just look up Welsh words in a dictionary. Perhaps you didn’t know this… Celtic languages share a phenomenon known as “mutation” and are annoying enough to change the spelling accordingly. This means, when you pronounce a word differently because of the influence of its surrounding words or grammatical syntax, you spell it that way. We’re used to this in English for vowels in some of our older words, such as our class of strong verbs. We share with other Germanic languages couplets like “run/ran”, “fall/fell”, “know/knew”. Initial letters, on the other hand, rarely do this in English, so it doesn’t seem so bad because we only have a few of them, and the initial letter isn’t involved. It’s different in Welsh. Got that? How would you look up “napple” in a dictionary? You have to know the language well enough already to understand what might happen so that you can guess what the unmutated form of the word “napple” might be, after you fail to find it. Good luck with that if you’re skipping the grammar and going straight to the vocabulary lists. It is wonderful to have lived through the birth of the personal computer, and to be part of the computing industry. I have been a programmer and systems designer, and today everything I do has some computer aspect to it: professional work, photography, music, research, websites. With my background, they are not black boxes to me. Computers are great machines, but they are bad tools at a very fundamental level. I want to draw a distinction between a machine, which you set up and assign work to, and a tool, which you wield directly, as a human animal. What makes a tool great is its capacity to function as an extension of yourself, as though it were part of your body. Poking a hole with a stick is not importantly different from using a finger; the tactile and visual feedback is immediate in the same way. That stick is a tool. Becoming adept at stick wielding (think: swordplay) is a matter of entraining muscle movements and responses to real-world feedback. If you have to think about the movement, it’s too slow. Animals like humans are well-equipped for this sort of learned skill. We learn how to walk, run, reach, throw, poke, and so forth as part of our repository of behaviors. Any tool we have that we can treat as a bodily extension is incorporated into our reactions in the same way, and we can become expert users. In music, we speak of knowing a piece “in the fingers”. “The hands know how to play the tune”. We can add to that tacit skill our rational decisions, reacting to other musicians, to the emotions of the moment, to an experimental harmony, and so on. As beginners, we find that we have to “think too much” about what we’re trying to do. Music becomes a performance pleasure to the degree that our mastery is at our command to be directed as we will.